April 9, 2010 -- Arkansas State University continues the school’s Centennial Celebration as a new student tradition will be launched with the burial of a time capsule Monday, April 12, at 2 p.m. at the Arch in the Historic Quadrangle. The time capsule comes from the Centennial graduating class of 2009. Each year, following commencement, members of the graduating class will select items symbolic of their time on campus for placement in a sealed time capsule. The time capsule, inscribed with the appropriate class year, will be buried in one of 25 concrete benches surrounding the Historic Arch in the center of campus. Each time capsule will be opened at the 25-year homecoming reunion of its class, with symbolic items selected by successive graduating classes placed in the vacated concrete bench, thus continuing the tradition. This idea was originated in the spring of 2008 when three students in a Case Studies and Campaigns class in the College of Communications conducted a survey to develop ideas for a student tradition to be established during ASU’s Centennial Celebration. The three students are Tammy Booth of Jonesboro, John McCarley of Little Rock and Jessica Williams of Harrison. All are from the 2008 graduating class. Some of the contents of the first time capsule include an ASU admissions guide; rate sheets for tuition and fees, room and board and meal plans; a student identification card with an A-State holder; a white Indian football jersey from the last home game when ASU’s nickname was ‘Indians;’ a brick from Twin Towers dormitory which was imploded in 2008; a copy of ASU’s alumni magazine “Voices” that contains an article about the Twin Towers implosion; copies of College News, People, US, and Newsweek magazines; copies of ASU’s WolfTracks yearbooks; and a “Keep A Child Alive” wrist band. Also included are a Centennial congratulatory letter from U.S. President Barack Obama; a 2005 commemorative football, an ASU mascot hat; the final edition of the Order of the Tribe t-shirt; homecoming cups with the Indian and Red Wolves fight songs; final edition of an Indian koozie; buttons representing the Indian Club, the New Orleans Bowl and the Little Indian Club; a New Orleans Bowl poster; Indians and Red Wolves Mardi Gras beads; an ASU Indian coaster; a first printing of a Red Wolves t-shirt; an A-State mascot trading card with a biography on Howl; and season tickets for the first Red Wolves football and men’s basketball seasons. 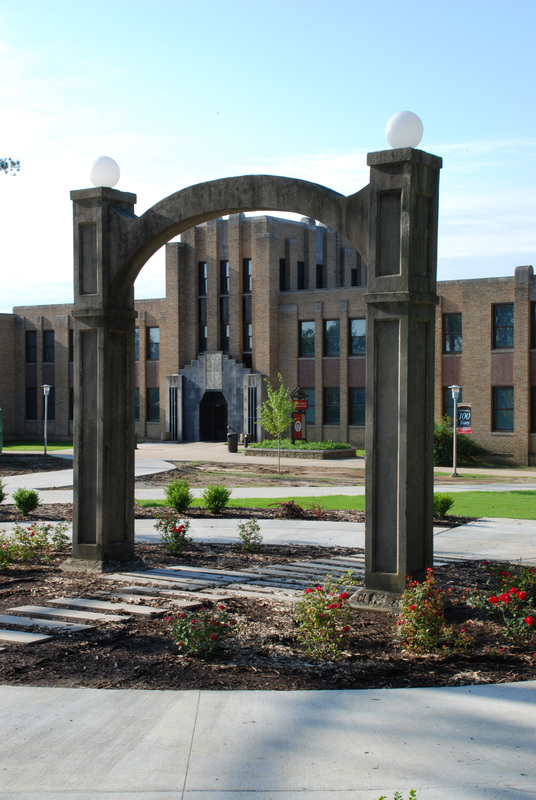 Arkansas State is celebrating its 100-year anniversary throughout 2009-2010. 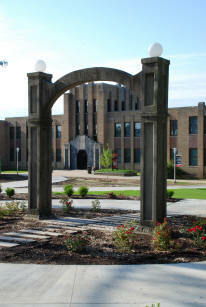 The celebration began April 1, 2009, with the commemoration of the university's founding, and will conclude October 3, 2010, marking the Centennial of the first day of classes.